The ahupuaʻa of Makaha extends from the coastline to the Waiʻanae Range. Pukui noted Mākaha means “fierce;” Roger C. Green suggests it relates to “fierce or savage people” once inhabiting the valley. Ahupuaʻa served as a means of managing people and taking care of the people who support them, as well as an easy form of collection of tributes by the chiefs. Mauna Lahilahi inspired at least two songs. One, by Kaʻiulani, “I Mauna Lahilahi ko Wehi,” was probably inspired by a royal visit to the Holt estate in those golden days of Makaha Ranch. From about 1887 to 1899, the Holt Ranch raised horses, cattle, pigs, goats and peacocks. A later song, “Maunalahilahi” by Mary Robbins speaks of the love for Maunalahilahi and appreciation to its later owner, Jack Waterhouse. In modern land description, the context is ‘spatial’ – we tend to reference things by their location, area and use – 123 Main Street, 10,000-square feet, residential. Look at any map, GPS orientation or recall how you describe a place, etc, it’s all about space and location; you learn where you are and the physical context of it. In old Hawaiʻi, it was the nature of ‘place’ that shaped the practical, cultural and spiritual view of the Hawaiian people. In Hawaiian culture, natural and cultural resources are one and the same. Traditions describe the formation (literally the birth) of the Hawaiian Islands and the presence of life on, and around them, in the context of genealogical accounts. Hawaiians named taro patches, rocks, trees, canoe landings, resting places in the forests and the tiniest spots where miraculous events are believed to have taken place. (hawaii-edu) There were names for everything, and multiple names for many. “Cultural Attachment” embodies the tangible and intangible values of a culture – how a people identify with, and personify the environment around them. In ancient Hawai‘i, most of the common people were farmers, a few were fishermen. Access to resources was tied to residency and earned as a result of taking responsibility to steward the environment and supply the needs of aliʻi. Tenants cultivated smaller crops for family consumption, to supply the needs of chiefs and provide tributes. In this subsistence society, the family farming scale was far different from commercial-purpose agriculture. In ancient time, when families farmed for themselves, they adapted; products were produced based on need. The families were disbursed around the Islands. An orderly delineation became needed. What is commonly referred to as the “ahupuaʻa system” is a result of the firm establishment of palena (boundaries.) This system of land divisions and boundaries enabled a konohiki (land/resource manager) to know the limits and productivity of the resources that he managed. When the Hawaiians lived on the land as farmers and gatherers they became intimately acquainted with and named countless features and places. This Placial versus Spatial context reflects the relationship of the people to the land. The image shows ahupuaʻa on the island of Molokaʻi – each has its own name and reason for delineation (Google Earth/DBEDT.) In addition, I have included other related images in a folder of like name in the Photos section on my Facebook and Google+ pages. Prior to European contact, each of the major islands or independent chiefdoms in the Hawaiian chain comprised a mokupuni (island.) Over the centuries, as the ancient Hawaiian population grew, land use and resource management also evolved. The mokupuni were subdivided into land units of varying sizes, and the largest division was the moku (district – literally: interior island,) administered by high-ranking chiefs. They were either relatives of the high chief of the island, trusted supporters or high ranking individuals who pledged their support to the high chief but were allowed to remain relatively independent. Defined palena brought greater productivity to the lands; lessened conflict and was a means of settling disputes of future aliʻi who would be in control of the bounded lands; protected the commoners from the chiefs; and brought (for the most part) peace and prosperity. What is commonly referred to as the “ahupuaʻa system” is a result of the firm establishment of palena (boundaries.) This system of land divisions and boundaries enabled a konohiki (land/resource manager) to know the limits and productivity of the resources that they managed. In the late-1400s, through warfare and alliances with other chiefs, ʻUmi gained control of the entire Island of Hawaiʻi. ʻUmi made himself the aliʻi nui, or high chief, for the whole island. 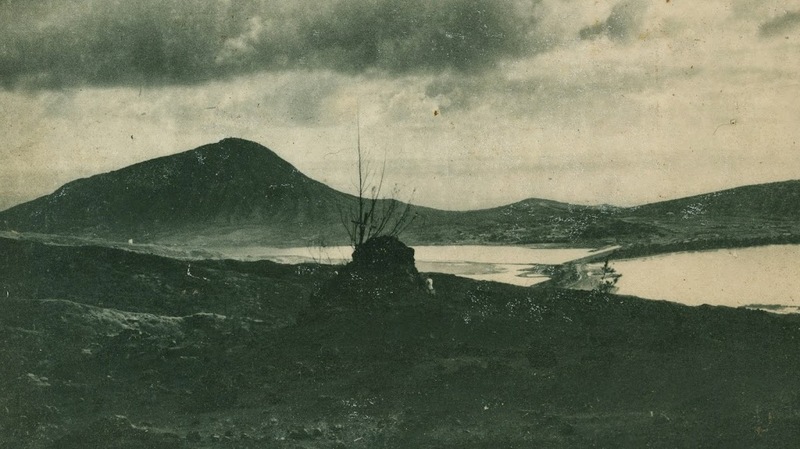 ʻUmi divided his island into separate moku, or districts. These moku were subdivided into smaller sections called ahupuaʻa. 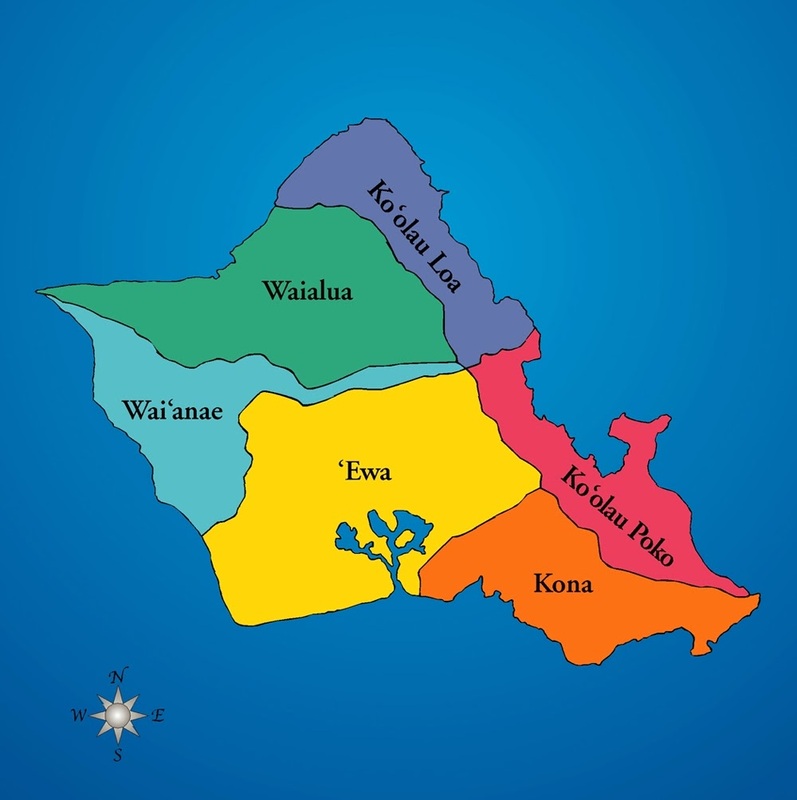 In the time of ʻUmi, son of the great chief Līloa, the Hawaiian islands were divided into political regions. The four mokupuni (larger islands) of Kauaʻi, Oʻahu, Maui, and Hawaiʻi were divided into moku (districts). The smaller islands of Molokaʻi, Lānaʻi and Kahoʻolawe became moku of Maui, and Niʻihau a moku of Kauaʻi. From the earliest days, streams were among the most important natural resources sought after by native Hawaiians. Battles were fought and lives sacrificed for the right to use stream water. The Hawaiians called freshwater wai, and considered it to be sacred. People using wai from streams took only what was absolutely necessary. They were expected to share the wai with others. This was done without greed or selfishness. Such practices gave Hawaiians their word for law which is kanawai, or the “equal sharing of water.” Water was so valuable to Hawaiians that they used the word “wai” to indicate wealth. Thus to signify abundance and prosperity, Hawaiians would say waiwai. In keeping with this concept of wealth being fresh water, the traditional land tenure system in ancient Hawaii had at its very core the presence of streams, or kahawai. Although of many shapes and sizes, each ahupua’a consisted of three area types: mountain, plain and sea. The image shows the Moku of Oʻahu (ksbe.) In addition, I have added other related images in a folder of like name in the Photos section on my Facebook and Google+ pages.